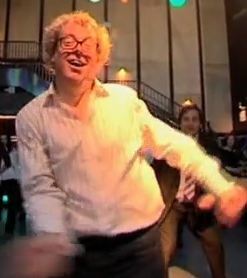 Peter Lovatt founded the Dance Psychology Lab at the University of Hertfordshire, which combines his performance experience as a professional dancer with his training as a research psychologist. 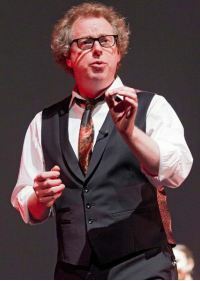 In several TED talks, he marvels at his career trajectory because he “was rubbish at school,” and was relegated to Special Education classes, probably due to his undiagnosed ADHD. His career demonstrates an innovative synthesis of disciplines with his current research agenda investigating the impact of dance on problem solving using divergent thinking and convergent thinking strategies. Lovatt’s experiments demonstrated that volunteers who engaged in improvised dance movements solved divergent thinking problems more quickly than when they performed more structured dance maneuvers, or no movement at all. Similarly, his work showed these volunteers increased their speed of solving convergent thinking problems after they engaged in choreographed dance moves. These findings may not imply that innovation teams should engage in structured and unstructured movements at work, but it does support the positive impact of dance movement on neural processing speed and problem solving. Lovatt extended this work to patients with Parkinson’s disease, known to disrupt divergent thinking processes, to validate his findings with normal volunteers. He demonstrated that Parkinson’s disease patients improved the divergent thinking problem solving after they engaged in improvised dance sequences, and hypothesized that these patients develop new neural pathways to “work around” dopamine-depleted blockages. MacArthur Fellowship and Tony Award-winning choreographer Twyla Tharp discussed innovation and collaboration through the lens of dance in two books with lessons applicable to business. 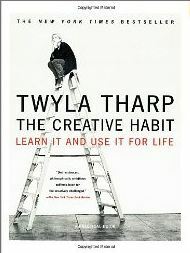 In The Creative Habit: Learn It and Use It for Life she asserts that creative expression requires perseverance, practice, hard work, “showing up,” and cultivating systematic habits to act upon innovative initiative. Tharp’s The Collaborative Habit: Life Lessons for Working Together discusses both how collaboration can change the participants, and practical approaches to collaborative creation – which she acknowledges has not been completely smooth in some of her work with luminaries including Richard Avedon, Mikhail Baryshnikov, Bob Dylan, Milos Forman, Norma Kamali, Frank Sinatra. Dance provides a fresh perspective and metaphor for business challenges including problem solving, innovation, and collaboration. -*How do you react to Lovatt’s and Tharp’s application of movement in problem solving, collaboration and innovation? This entry was posted in Behavior Change, Career Development, Innovation, Neuroscience, Resilience, Thinking and tagged Behavior Change, Career Development, Collaboration, Innovation, K. Anders Ericsson, Malcolm Gladwell, neuroscience, Parkinson's disease, Peter Lovatt, Problem-Solving, Resilience, Thinking, Twyla Tharp on November 28, 2012 by kathrynwelds. Hi Kathryn, so glad to see this post! Loved the 10,000 hours reference and the emphasis on continually showing up at the “creative page” whatever that may be for your discipline. This entry got me to wondering too if Parcour – a sort of improvisational running form – would count! Thanks so much for the cross-discipline post! Thank you, Jennifer, for your comment. I hope you’ll elaborate on Parcour as improvisional movement. When you engage in Parcour, do you more quickly solve unstructured problems with many potential conclusions? Wonderful! 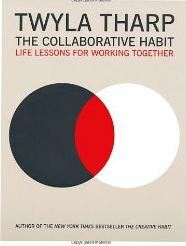 I hadn’t seen Twyla’s new book on collaboration- and I’m going to watch the ted talk now. Thank you, Megan, for your comment, particularly since you danced with Twyla. I hope you’ll share your perspective on how lessons from dance informed your business experience in the entertainment industry, and how you see dance providing personal insight and development for non-dancers.